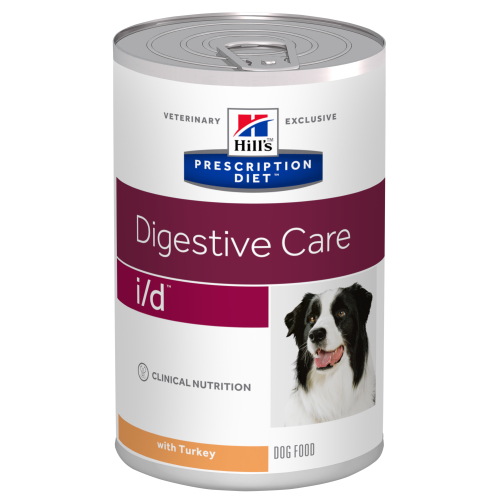 Hills Prescription Diet ID Digestive Care Wet Dog Food is a highly digestible formula created specifically to help manage dogs with gastrointestinal disorders. Clinically proven, highly digestible nutrition to reduce absorptive disorders. Highly digestible ingredients for better gastrointestinal health. Contains pre-biotic fibres to help nourish the cells and growth of healthy bacteria in the gut, and pysillium to encourage regular bowel movements. Canned loaf with a rich aroma and soft texture - all dogs find it irresistible!